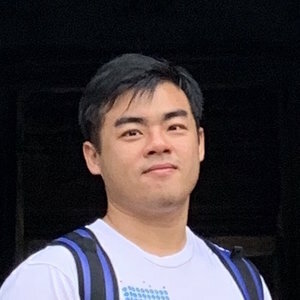 Shi Yuan is a Data Science Intern at IBM, and graduating with a Master of Technology in Knowledge Engineering from the National University of Singapore in 2019. What I like most is that I get to plan our execution and decide the fine details on the whole data science work flow. The role of a data scientist is a combination between technical expertise and art – there are many tools at your disposal, and you need to find perfect combinations to turn data into gold. During my internship, I developed a machine learning model and prediction system to provide risk alert to quality engineers based on the periodical feedback of IBM servers shipped to customers’ sites. This allows predictive maintenance and customer service excellence. I got my internship though an interview opportunity that was opened to master’s students at the NUS Institute of Systems Science (ISS). We had to submit our interests to our programme advisor before the on-campus interview. The trickiest part was the open-ended questions at the interview. There is no one single definite answer – just as a data scientist needs to be able to elaborate the intentions and logics behind decisions. Most importantly, you need to show your passion. What I like most is that I get to plan our execution and decide the fine details on the whole data science work flow. For me, motivation comes from being able to look at the enormous scale and vast amount of data of a big company, and tap into the resources. The most challenging aspect of the job is to request the necessary tools to be set up remotely on a US server, which causes delays from back and forth communications and time zone differences. I enjoy bringing the pieces together, developing and showing a working prototype system that can be applied in a real business scenario. We get support and have a mentor introducing us to the relevant stakeholders for the internship. There are also many internal resources online that demonstrates the data mining and machine learning framework developed by IBM. We have typical office hours and there is flexibility for our working hours as long as work is done, taking into account our night classes at school. The culture is friendly and casual in my team. Be passionate about data and coding, and stay persistent in whatever you do. It is a rewarding experience!